Today’s ride: The Indian Head 100 has been one of my favorite rides since I first discovered it. 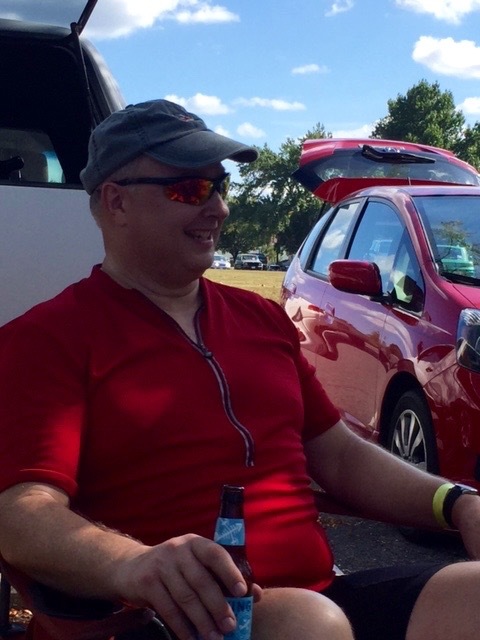 This is the kind of ride that has something for everyone – the rolling terrain is challenging but not punishing, the course is often shaded and shows the best of Southern Maryland scenery, including the Indian Head Rail Trail that brings you back to the finish. 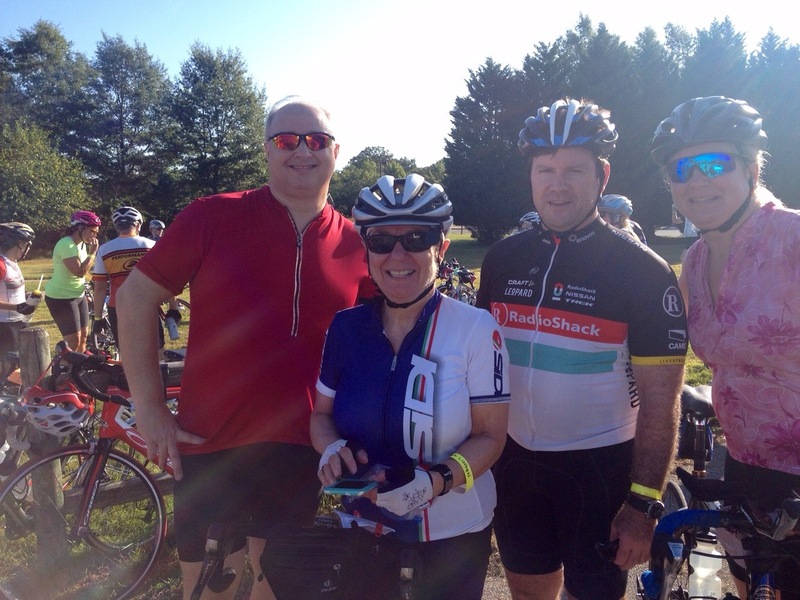 This ride is organized by the Oxon Hill Bicycle Club, and their expertise shows. This is a rider’s ride, and it includes some of the best rest stop food ever – breakfast at the first rest stop is legendary! There is a lot to recommend at this ride – I’m told even the shorter routes are excellent, and year after year this ride has always been a highlight. The Experience: I’m always eager to ride the Indian Head 100, and this year I was in such a rush to get there that I forgot my telephone. This meant that my photos would have to come from friends, and I’d have to feel foolish and forgetful for a while. The day started with promise though. Despite my lack of communications tech, I met up with friends and started before the day began to heat up. Due to injuries and travel, many of my usual ride partners were not available, but my team has a lot of great riders, and none of us ever have to ride alone if we don’t want to. One of the riders who was parked nearby was riding a classic Lugged Steel bike that I couldn’t help admiring, but despite the distractions, I rode out into the promising morning with Tony Lehr, Carol Linden and a friend of Carol’s – Julie Marders. I was feeling good in the first section of the ride; I spent some time on the front, and we collected some other riders who liked our pace. Since everyone was riding responsibly, I wasn’t concerned. The first rest stop appeared before we knew it, and we all enjoyed the fabulous breakfast that the Indian Head 100 is famous for. I was surprised to discover that changes to the route in the second leg took away some of Riverside Road, which had been a 10 mile series of rollers that resembled a sine wave, but the route compensated for it by sending us over scenic roads that eventually joined Riverside farther down, and I was still treated to many of the rollers, which still left me satisfied. I was riding well through that section, and Tony, who had been getting stronger as the day went on, took over. The group was split a little by the third stop, but we took full advantage of the rest, and I ran into my friend Judy and her son, and we took a moment to admire his new bike before we moved on. The next section found me suffering a little, as our group strung out I was still riding well, but the rest stop at St. Ignatius Church was welcome! This year, instead of offering the century riders a hard climb on Bumpy Oak Road, all the courses turned onto the Rail Trail to go back to the start. Carol was working hard on the trail, sensing the finish, but neither I nor anyone else had the energy to take over the pace making, so we relaxed a little and came to the finish tired but happy, as another good Indian Head 100 went into the books. We all came together after the finish to celebrate and swap stories, and looked forward to the next chance to ride together. Selections from my mental iPod during the ride: “I love you Suzanne” by Lou Reed, “What’s So Funny ‘Bout Peace Love and Understanding” by Elvis Costello, and “Eastern Bloc” by Thomas Dolby. Stats: 100.53 Miles ridden. The course changes were interesting, and the ride satisfied as always! Our group the first Rest Stop. Left to right – Myself, Carol, Tony and Julie. Post Ride, in the shade, recovery drink in hand. We all live for this, don’t we? 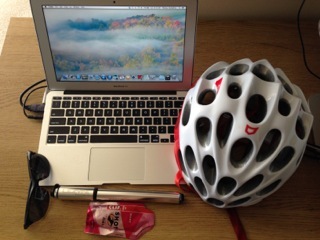 This entry was posted in Cycling on September 20, 2015 by kitefencer.